Six months before the next federal election, Innovation Minister Navdeep Bains is releasing a “report card” of past investments and achievements his department has had since he was first elected, to showcase Canada’s commitment to job creation and in pushing forward with its Innovation Agenda. During a sit-down interview, the Financial Post wrote about what Bains’ department funding means for Canada and whether Canada is really benefiting from the agenda and future-proofing its economy. FP reported that Bains’ felt strongly about that and that it could very well be part of the Liberal’s “pitch to voters.” Bains’ Building a Nation of Innovators report is expected to release on February 12th. He said that he believed that Canada wasn’t missing the boat and was innovative enough to seize the future. When probed if the soon-to-be report was an election campaign report, Bains said “this was a report back to Canadians,” adding that in the report his department is “highlighting” the tangible achievements that were made in communities across the country. “It’s a report card, because people need to know as a government you made promises, are you living up to those promises? And what does it mean to them, to their communities, for their own prospects and for their kids’ prospects? The speed and scope of change is phenomenal, and that creates anxiety and concerns that Canadians have. And we are dealing with that and saying, look, we want you to succeed,” Bains said. Bains added that the country was “competing with other jurisdictions” and that it was important to show Canadians that there are options to learn to code, or take classes if their careers change and to learn something new. He also explains what would happen if the government’s Innovation Superclusters Initiative fails. Bains briefly addressed 5G in Canada and said that he was working with the carriers to roll out the next iteration of mobile network technology. He reiterated that Canada would not be behind in the game if Huawei is banned from working with Canadian carriers to develop 5G infrastrucutre. 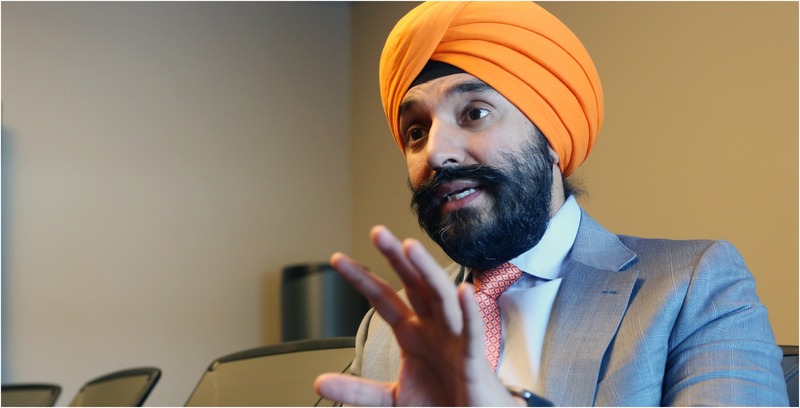 During his sit-down interview with MobileSyrup, Bains said that his door was always open and that he was having continued conversations with Bell and Telus, the two Canadian carriers that have partnered with Huawei. Canada currently has a frosty relationship with China after it arrested Huawei’s global CFO Meng Wanzhou in December. She was granted bail but faces extradition to the U.S. In mid-January, the U.S. laid 13 charges of bank and wire fraud against Meng, Huawei and its subsidiary Skycom.